The European designed SHUTTERMAX® iso-Plus is perfect for external applications where security and high speed operation is needed. The insulating properties of the individual slats provide temperature control to reduce energy consumption while providing whisper–quiet operation. SHUTTERMAX® is a High Speed Insulated Shutter that offers smooth and whisper quiet, high speed operation while providing security and insulation. This is a perfect solution for external industrial & commercial applications where security and high speed operation is required. 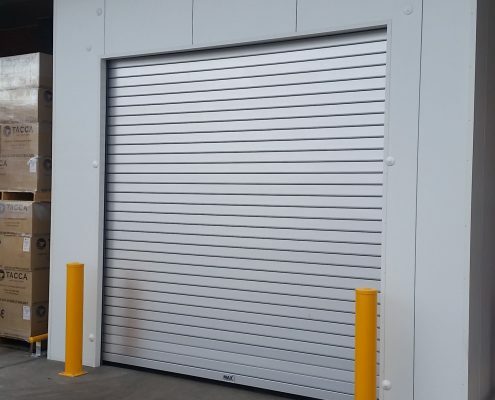 The features of this door provide you with a single product solution in place of a traditional “dual” Steel Shutter / High Speed door combination and as a result offers massive savings on initial investment, service & maintenance and power consumption. The SHUTTERMAX® is also ideal for car park applications, it’s High Speed and Whisper Quiet operation provides fast access and noise free operation significantly improving comfort levels for residents and tenants. Designed with a springless drum and driven by a Heavy Duty, high cycle GFA drive system, the SHUTTERMAX® will provide trouble-free and long lasting operation. SHUTTERMAX® is manufactured using a combination of galvanised steel, aluminium and hardened PVC components. The track system is constructed using roll formed galvanised steel combined with a hardened PVC, full length wear strip which reduces friction and noise. The slats are a hollow section made up of two pieces, extruded anodized aluminium outer combined with hardened PVC moulded inner section and bonded using an insulating core of fire-resistant expanded polyurethane foam. The combination of Aluminium over PVC forms a noise and cold bridge providing excellent acoustic and thermal properties resulting in smooth wear between slats and whisper quiet operation. 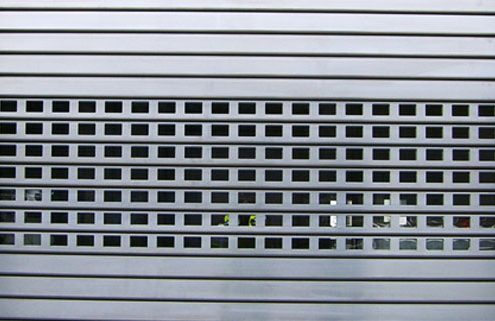 The combination of these slats provide noise reduction of up to 30 dB and offer a thermal transmission coefficient of 2.5 W/(m²*K). Max Door Solutions use complete GFA drive systems on all SHUTTERMAX® Doors. 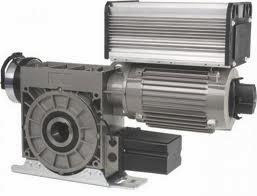 GFA drive systems are a complete package and purpose built for High Speed Door applications. 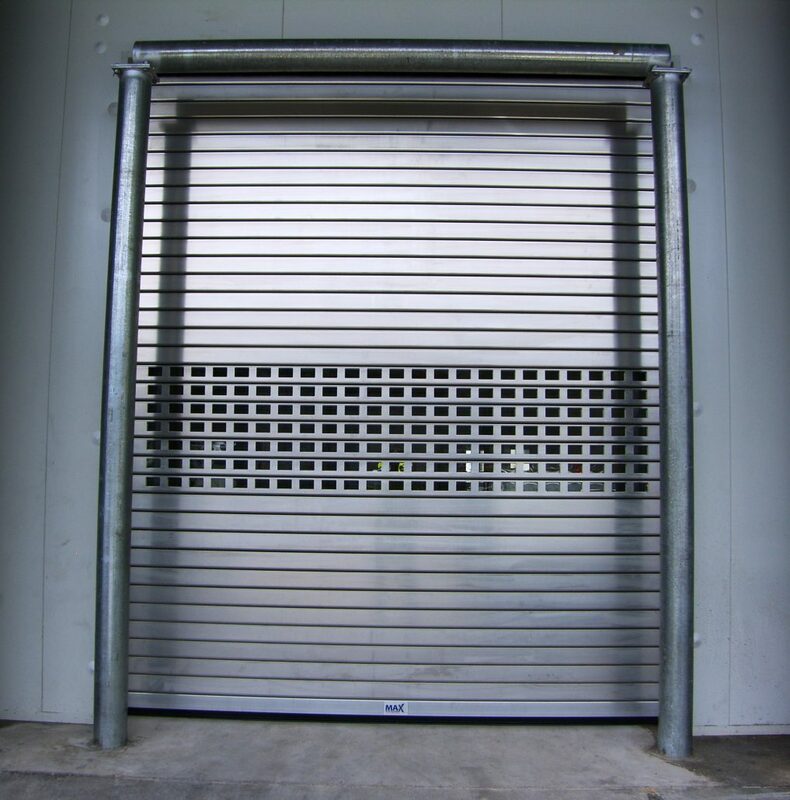 GFA are a German based company and have been in the market for 58 years, they sell around 150,000 drive systems per annum which position them as the largest door operator manufacturer in Europe. GFA’s commitment to quality and innovative design support Max Door Solutions design criteria of Strength, Durability and Simple Operation. All GFA drive systems are designed and manufactured in Germany and supported by a locally based sales and technical team including stocked spare parts. Every SHUTTERMAX® Door is fitted with a state of the art GFA integrated variable speed drive and gearbox and operated through a standardised Control Panel which are available to suit both single (240v) and 3 Phase (415v) power sources. This operator is fitted standard with digital limits with absolute encoder, after power failure no re-adjustment is required as the encoder memory is independant of constant power supply. The GFA Control Panel is designed with simple operation in mind, each door is supplied with an easy to understand operation manual and troubleshooting guide which directly relate to the LED display positioned on the front of the control panel. All GFA drive systems conform to DIN EN 12453 (control panel) and DIN EN 12604/12605 (safety brake) and are IP65 rated. SHUTTERMAX® operating speeds are customised to suit each individual application. We currently offer a maximum opening speed of 1.7mtr/sec (dependant of door height) which allows traffic to move efficiently between rooms while maintaining environments, closing speeds are normally set at around 0.5mtr/sec. SHUTTERMAX® Doors can be customised to include a series vision slats or ventilation slats to suit you individual needs. Vision slats use our standard insulated slat and are fitted with a series of double glazed windows and can be fitted at any height based on operational requirements. 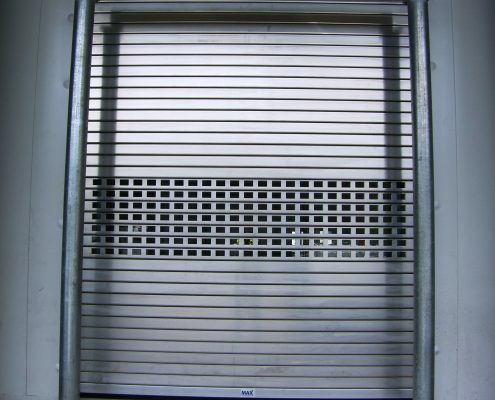 Ventilation slats use the same insulated slat platform and are fitted with a moulded polycarbonate grill, this ensures strength and aesthetics are maintained. 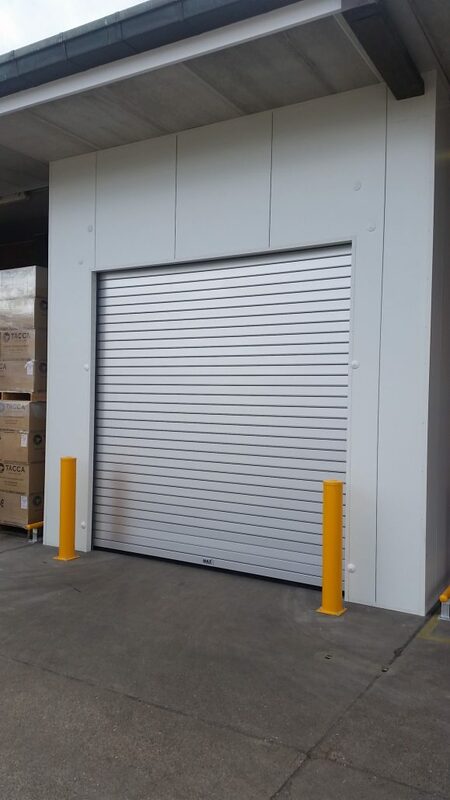 SHUTTERMAX® Doors are available to a maximum dimension of 6000mm wide x 6500mm high in a wind Class 3 environment, larger size combinations are available upon request. Our SHUTTERMAX® XL is available in sizes up to 9000mm wide x 6000mm high (max 40m2). SHUTTERMAX® standard configuration is capable of withstanding wind gusts of up to 120klm/hr or a wind Class rating of three (3). Our SHUTTERMAX® XL is designed to withstand wind gusts up to 150klm/hr or a wind Class rating of four (4) dependant on size and configuration. Every SHUTTERMAX® Door is fitted with a complete safety system to ensure personnel safety. A “soft touch” optical safety edge is fitted to the bottom rail and reverses the door in the event the door makes contact with an object or person. Another standard safety feature is a door line reflective PE Beam. If the Photo Electric Beam is broken by passing equipment or personnel while the door is closing, this device is designed to stop the door and send it back to the fully open position. A patented in-built safety brake is a standard feature on all SHUTTERMAX® Doors, this ensures the door will not fall in the event the gearbox fails and is certified according to TÜV DIN EN 12604/12605. In the event of power failure the door can be manually operated using the manual chain, an Emergency Stop button is fitted to every control panel to provide fast and easy shut-down of the door in the event of an emergency. A standard activation feature of every SHUTTERMAX® Door is a push button panel integrated within the GFA Control Panel, fitted on the other side of the doorway a wall mounted, single push button. Additional activation methods are listed below in the optional extras section.